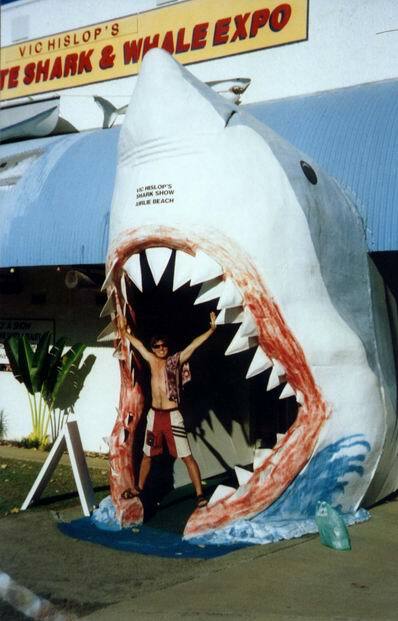 Shark kingdom entrance, Airlie beach. There is an old guy, a shark hunter, living on the Airlie beach, from where travelers take ferry to Whitsunday islands. Time by time, he organizes presentations of his old adventurous pieces from youth times & shark trophies. There is also a sharkquarium inside. This is an entrance into his kingdom. Impressive, isn't it?